1. What did you think was wrong with Jacob? Were you as suspicious as Bella about his illness? At this point in reading, I had just seen the trailer for New Moon on MTV, so I knew. 2. 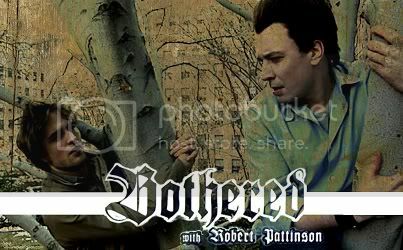 When Laurent appeared out of the trees did you also think like Bella, that it was Edward? Again, I knew it was Laurent from the trailer. 3. When the wolves came out of the forest what were your thoughts? When one of them looked at Bella, did you suspect it was Jacob or that Edward was involved somehow? I knew it was Jacob. 4. At this point in the story did you already suspect that Jacob was a werewolf? 5. Did you think that now that Victoria was hunting Bella that Edward and the Cullens would come back? Finally, one that I can answer that was ruined by me seeing the trailer, lol. I did think that they would come back now that Bella faced a definite danger, instead of self-inflicted danger. I got suspicious now. I thought it was weird that he didn't contact her at all. If he's just sick, he would contact her, so him not doing that, made me think something was off. No, I didn't think he would return like that. And after I read she was wrong and it was Laurent I thought: "You, stupid girl." Yes, all of a sudden I realized that this must be it. This is why Jacob's gone. No, I didn't think they would return. I knew it was Jacob there. Not really... I knew when they'd come back and why, so that never crossed my mind. No, I was pretty sure he wouldn't just walk out like that. I knew that is was Jacob looking at her. It was the fact that they didn't which made me realise that Edward's presence was just a figment of Bella's imagination. If they had known, I was sure they would have come back like a shot, especially Edward. I had no clue that was gong to result in his transformation. Actually I do remember thinking that it was when I first read the series. Wonder how the wolves are going to play out in this story.I did know it was Jacob. Yes even when his dad wasn't sure if he was going to shape shift. I was hoping but wasn't sure.